I am a huge tech and gadget kind of girl and I love playing with new toys. Us big kids need some fun too and when I had the chance to try out the Darkside from Sphero, well, I was all in. If you remember, I’ve reviewed the Ollie, its much more innocent and obedient counterpart and I still have tons of fun with it. I was ready for a little bit of trouble, let me tell you! I was curious to see how it compared to the Ollie and to see if really was as dark as it claims to be. Considering that Sphero announced that they are collaborating with Disney and are involved with Star Wars, the Dark Side sure is appropriate. The Darkside is lightweight and I really dig the dark colors. I also love that it looks like a piece of tech that adults can play with that doesn’t look so juvenile. With that said, its design appeals to kids too. I know that mine were excited to see its temperament and capability. You will soon find out. They say that few have the strength to command the dark powers bound within this robot. It is said that it draws its energy from unrestrained competition and reckless abandon. You can try to control the Darkside with their app but, user beware, the Darkside will overpower anything standing in the way of victory – including YOU. 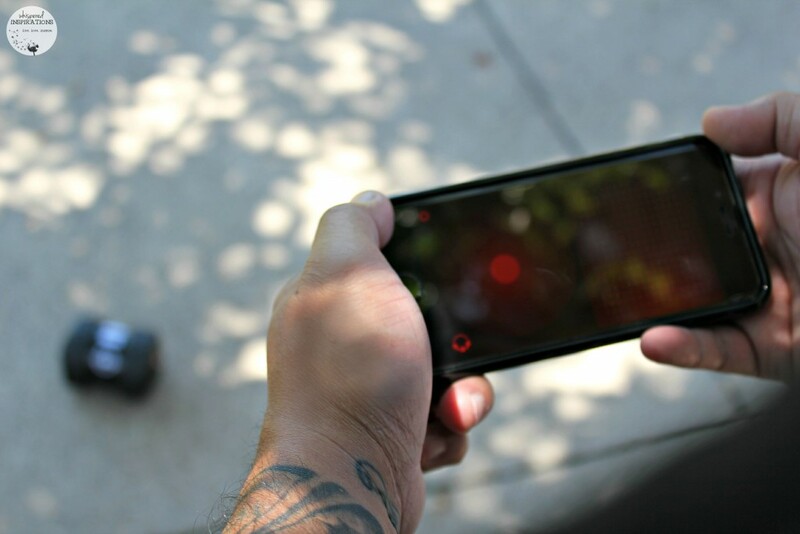 Handling the Darkside robot through the app is easy enough, it goes up to a top speed of 14 mph and with its durable polycarbonate body, you can rest assured that it can handle the speed, flips and tricks that you make it do. But, be warned, if you let it sit too long that it will start moving without provocation. Dara has been having a great time with Darkside, he enjoys that this little but mighty robot has a fierce personality. Not to mention, he loves the idea that he is playing with a robot that is essentially playing right back with him. You know that we have come a long way from remote-controlled cars when you can play with a robot with its own personality. It really is a man who was once a small boy’s dream to be able to play with such a gadget. One lucky Whispered Inspirations reader will WIN a Sphero Darkside! That’s a value of $129! This contest opens on July 31st, 2015 and ends on August 16th, 2015. Open to CANADA only. The Darkside from Sphero is reasonably priced at $129 on Sphero’s website and on Amazon. You can head over to the Darkside website for more information and accessories. Why wait and not live out your childhood dream of owning your own robot? Do you still play with toys/gadgets? Previous Post: « Club House Flavoured Sea Salt Grinders: Take This Quiz and Find Out What Your Flavour Is! I can see my husband and son having a blast with this driving the cat and dog nuts! Looks like a lot of fun. The entire family would love to play with the sphero but I can see my better half wanting to play the most. 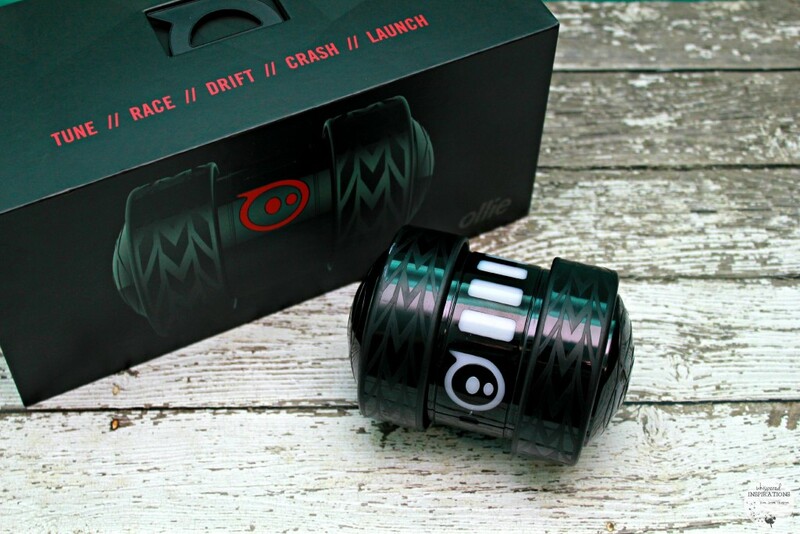 I think everyone in our family would love to play with the Darkside from Sphero. Lots like fun! My men are still kids at heart, I know they would all love the speed and fun of Darkside. My husband would love to play with this with my grandkids! I think my 15 year old would love this! TY! I am sure my hubby would have lots of fun playing with it! This looks like so much fun! My son would love this! 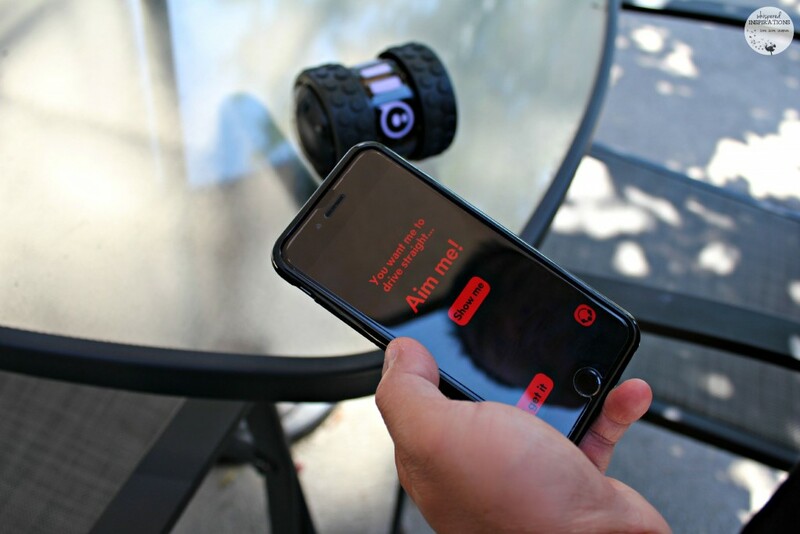 Okay – so it might just be me playing this Sphero! My brother or my little cousins! My husband Jim would like to play with the Darkside. My youngest son would have so much fun with this! Definitely my hubby would love to play with this but I think the entire family would have fun taking turns. Everyone in the family! I would love to have all the kids, even the biggest one (hubby) have family time with everyone. A great choice for time together! mostly would be the kids but us adults would give it a try too! My three boys would love the Darkside! Especially my 13 year old, he loves gadgets like this! My son and I would have a blast with this! Everyone in my family would want to play with this. My son Chris would love to play with the Darkside. Hubby would love to play with it! The kids mostly would love to play with it! I can see our cats chasing and playing also! Sophie would love to play with the Darkside. My son Matt will love to play with the Darkside. My husband would love to play with this! I think we'd all enjoy playing with it especially my husband and 9 year old daughter. My young nephew would love this! everyone in the family would love the Darkside and play with it. I am thinking my hubby would have a lot of fun with this, I can see him using it to play with the cats…lol! My son Joel would enjoy the Darkside! My nephew J would love to play with the Darkside. I would love to play with a Sphero! My nephew would love this! I would like playing with the Darkside. I think that my husband would have fun with this! I'm pretty sure we'd ALL want to. I am guessing it would be my hubby having lots of fun with it. Everyone in the family would love to play with it. Would be so much fun! My hubby and son would love to play with this!! I would love to win this for my grandchildren! They would have a blast playing with it!! This is so innovative and interesting for everyone. My husband would, but the kids would love it too. My hubby would have fun with Darkside Sphero! I know everyone in the family would love to play with it! My Mom just might like to play with Darkside. I think my BIL Dave would love to play with the Darkside. Everyone. But mostly the LOs. i think everyone would love to play with it, would have to have them share it! I know my niece Jennay would love to play with the Darkside. Oh I know my hubby would have fun playing with this! My grandkids and their grandpa would love to play with this! My hubby would have a lot of fun with this! My sister Judy would play with the Darkside. Everyone would love playing with it! i can see the cats chasing it around too! the kids have been wanting one and hubby would love to play with it also! My hubby would have fun with this and so would his grandsons! this bad boy is all mine! My husband and my two daughters would love to play with this. I know my brother Harvey would like to try playing with the Darkside. I know my Mom would love to try the Darkside. I am sure everyone would have fun with it but especially my hubby! My daughter would enjoy playing this with her grandpa, who is a big kid himself & loves all technology! Sphero is so cool! It would be my hubby having the most fun! You ll have plenty of fun harnessing Darkside s full potential! It s outfitted with Turbo Tires and Flux extra wheels, as well as glowing LEDs so it can take on any terrain day or night.